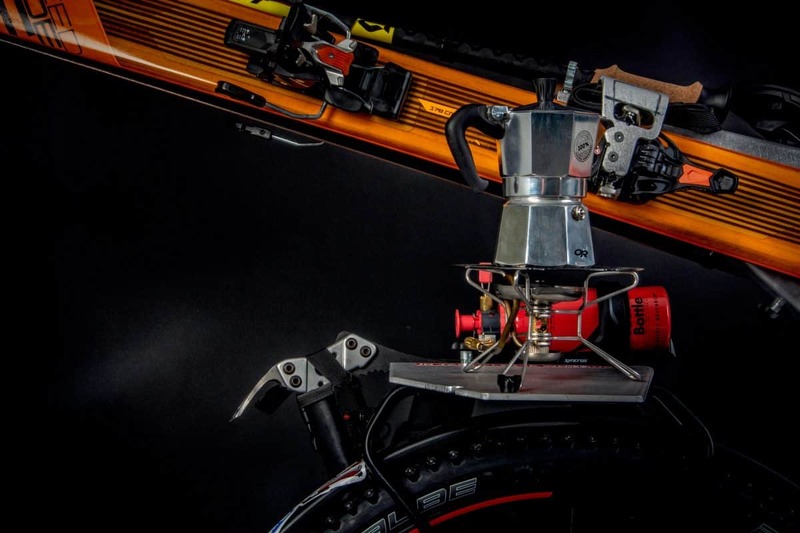 It`s all about the details – battery insulation and protection, navigation to guide the rider off fire roads up to treating yourself with a coffee break at your very own Espresso bar. 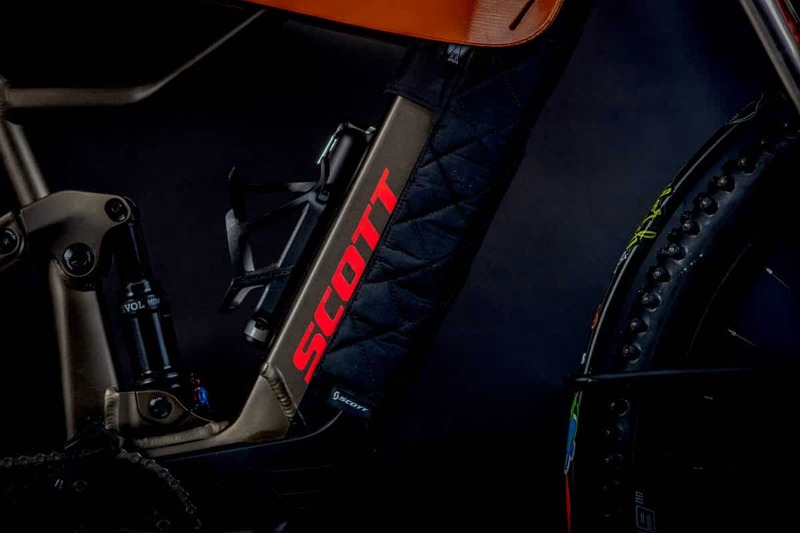 Challenged by exhausting mountain approaches in winter, integrating SCOTT’s own state-of-the-art E-Bike technology in wintersports is an obvious choice. When passes are still closed and spring snow is high in the mountains, it’s a sign of great ski touring conditions. However, approaches by foot can be long-winded and tiring. 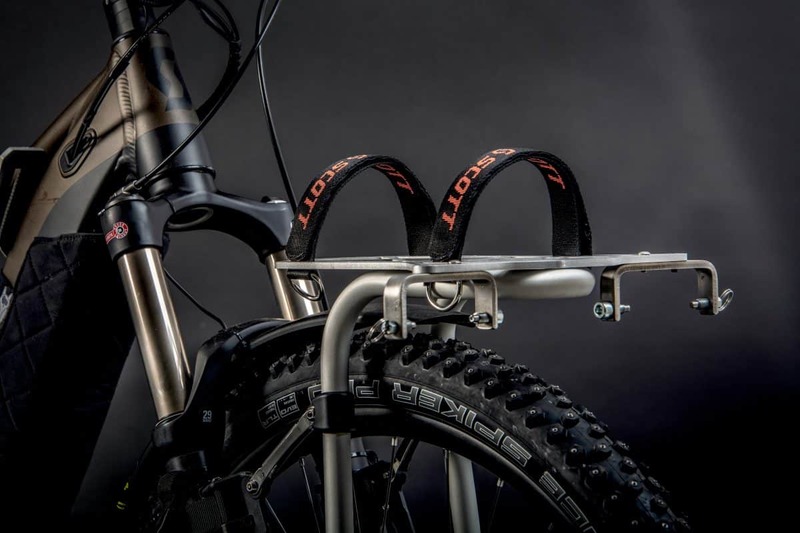 With a full suspension E-Bike these actually become fun adding an additional dimension to the journey. These were the objectives we had in mind when developing an advanced solution for mountain approaches with the SK-eRIDE concept. 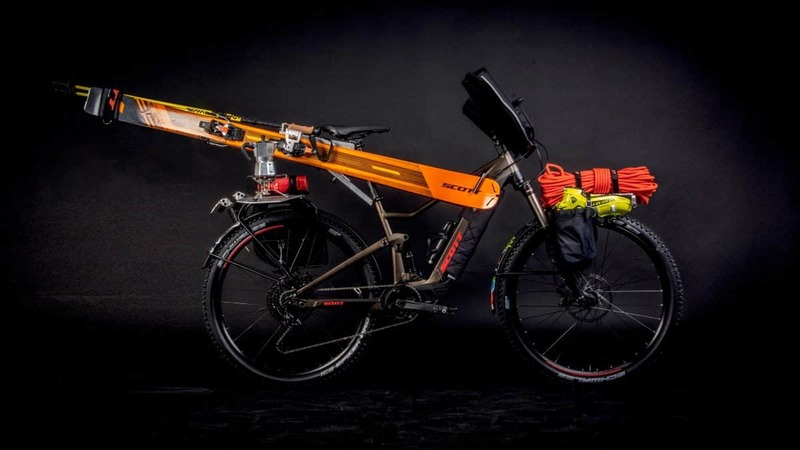 SCOTT AXIS EVO eRIDE is the base of the SK-eRIDE project, fully euipped with SCOTT winter equipment needed for a ski touring adventure. 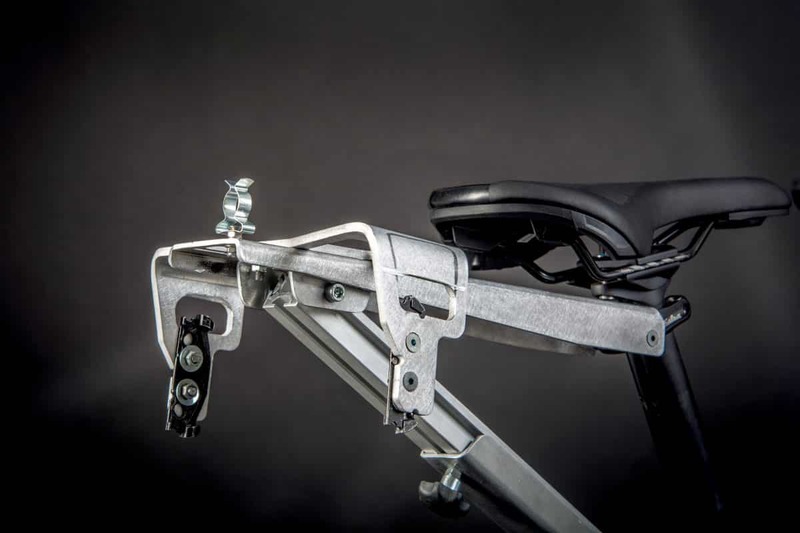 The SCOTT AXIS EVO eRIDE is the perfect companion for this unique project. 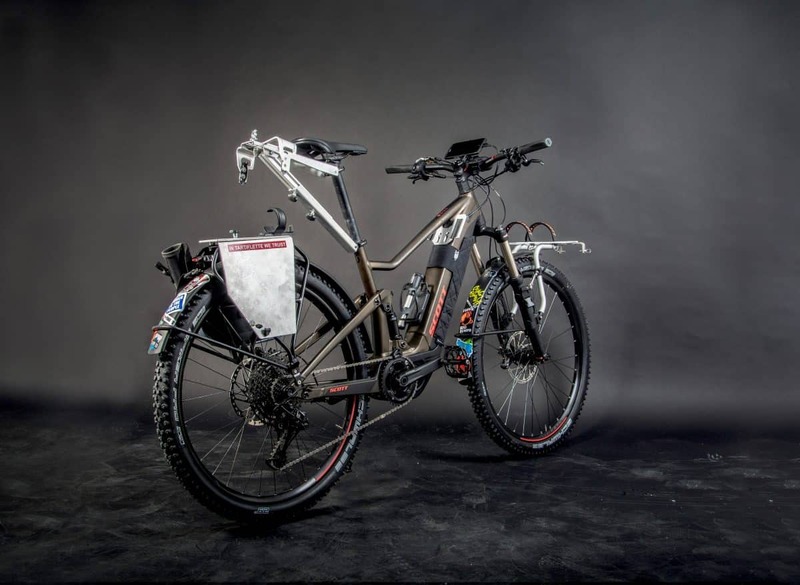 The bike supports ski-touring enthusiasts in gaining elevation and touching the snow without emptying their own tank. Once they get to the snow line, they’re still fresh to go even higher and to ultimately enjoy the way down creating own lines in untouched terrain. 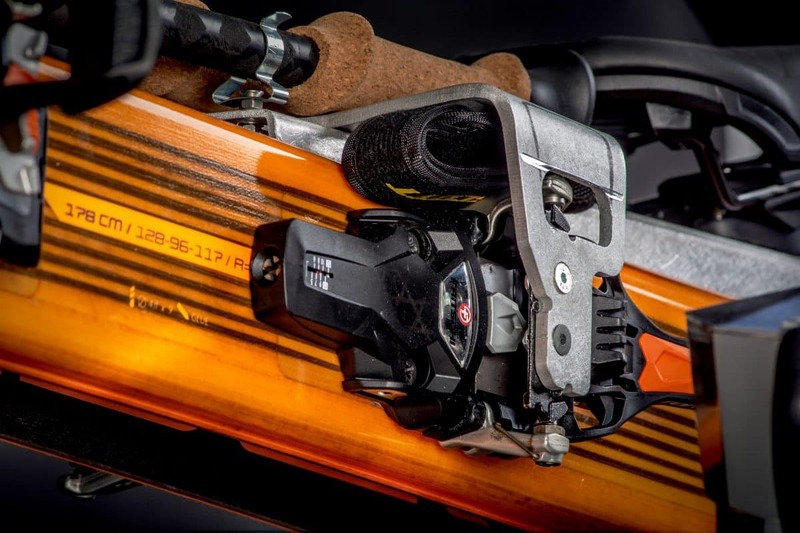 With versatility being key, the SCOTT Speedguide 95 Ski completes the setup, ensuring safe and confident skiing in the most technical of terrain. The SK-eRIDE makes the approach an enjoyable part of the ski journey. Satisfaction lies in starting your skitour at your doorstep. 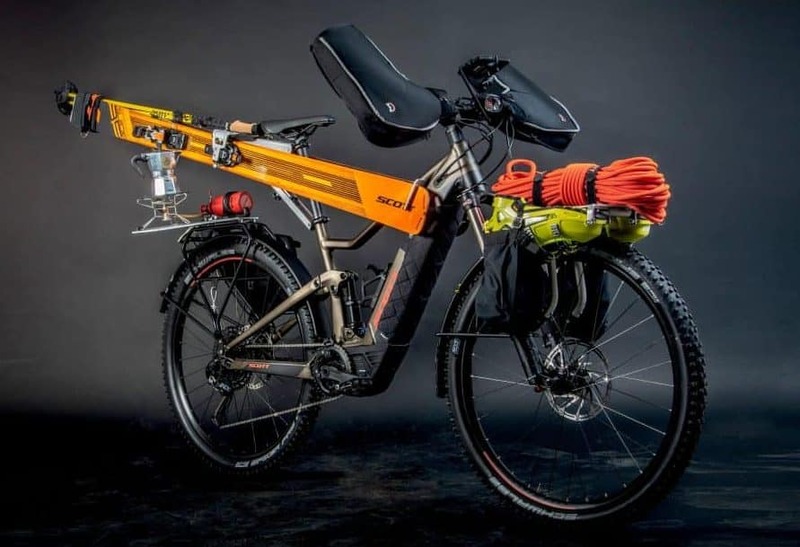 Doing the approach of a skitour by bicycle rather than public transport or your own car extends the adventure, while lowering your carbon footprint. 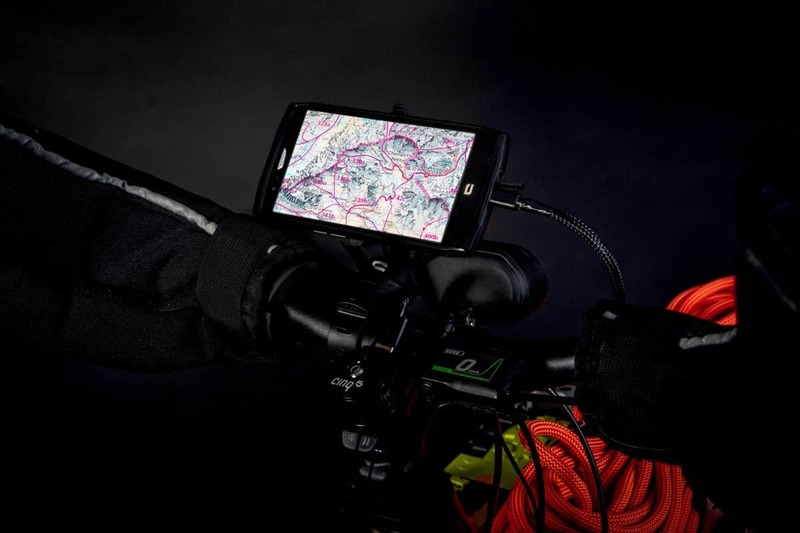 When I did my first one I was looking for a way to combine my two passions : Cycling and Skitouring. 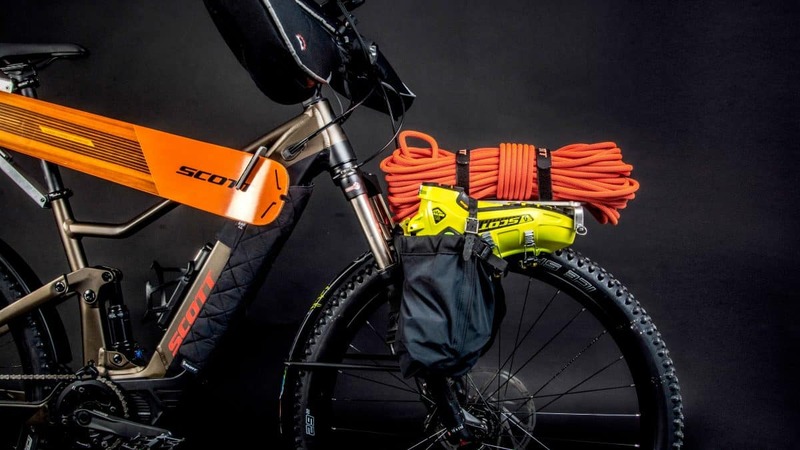 For this project we wanted to use a Scott E-bike as a base in order to make the bicycle part more fun, but also to enable you to go deeper into the mountains. 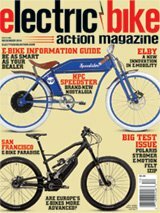 Especially in springtime approaches by foot can be long-winded, with an e-Bike fullsuspension bike they actually become fun. 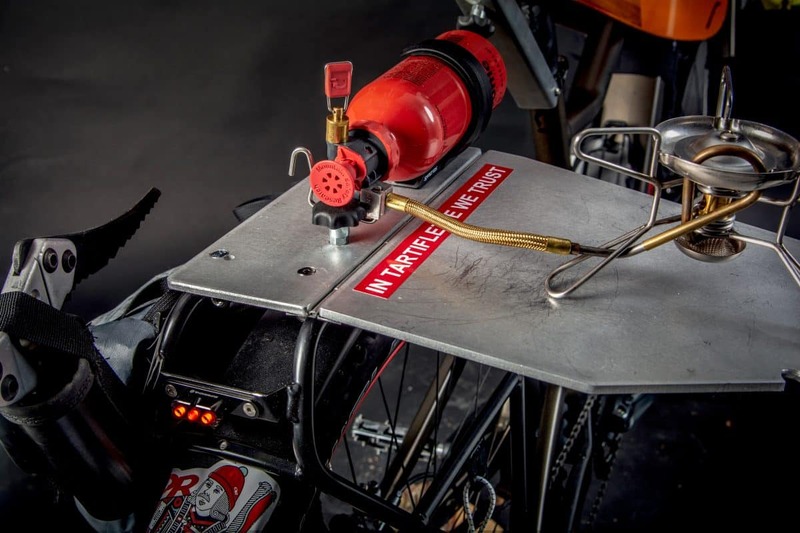 The engine also easily equalizes the additional weight you carry with your ski equipment. 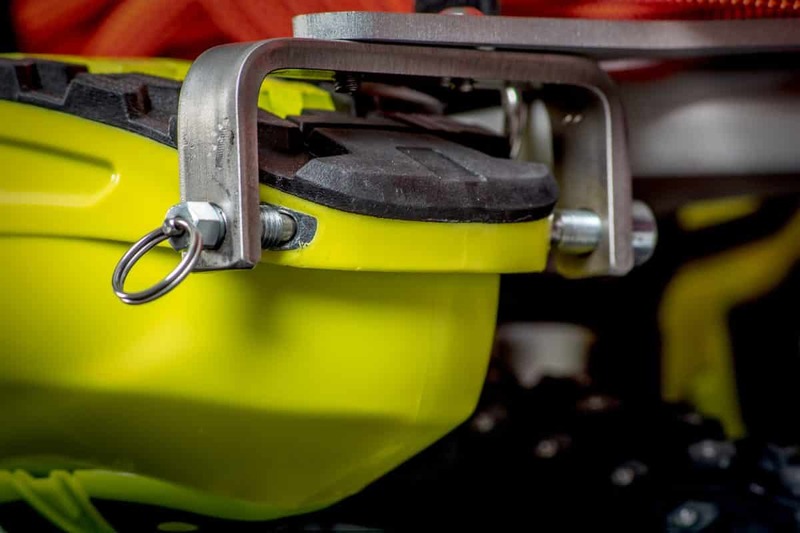 Special holders and intelligent solutions to mount gear by minimizing the use of heli straps ensuring equipment can be clipped on within a minute.